My husband has a strange interest in clouds and he would love your photos! He even has a book called 'The Cloud Book, How to understand the skies' He even has a folder in the 'photos' section of our computer of cloud formations he has taken. I personally prefer a cloudless blue sky with uninterrupted sunshine! Never tried lettuce sandwiches to be honest, think I need to try them when the weather is better and I feel in a more salady mood. Not sure about lettuce sandwiches....but love the photo. Love the photo! Not at all sure I'd feel the same about lettuce sandwiches - add some bacon and tomatoe and then we're talking. Everything is better with bacon! I love the photo. I sometimes have trouble with trees an sky . . . everything gets washed out. I probably need to take things off auto, I suppose! Great photo!...I never go anywhere without a camera & a brolly too!!!! Ooooh! 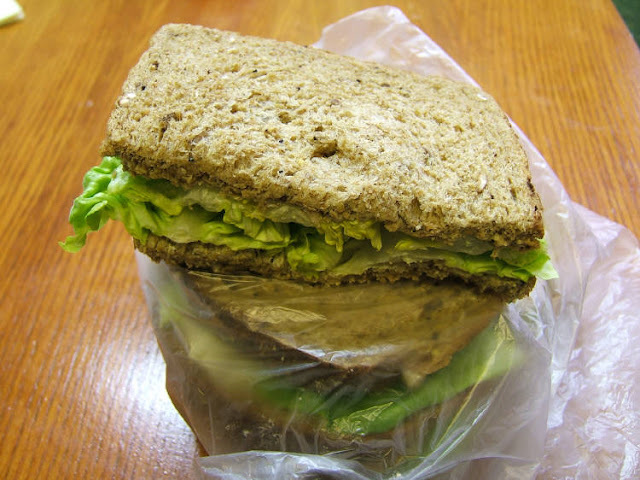 lettuce sandwiches..I lived on those as a student..I did sprinkle the lettuce with salt though...back then I didn't realise that I could have too much!!!! Super tree-photo, with that close dark weave of branches. 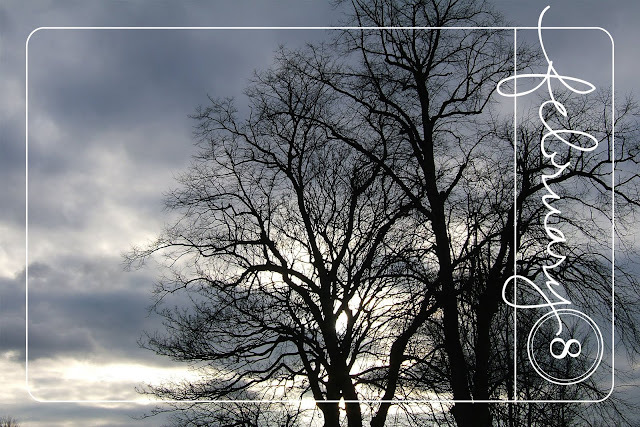 I love winter trees against the sky. That is a great photo! Lettuce sandwiches... ooh, haven't had those for such a long time. You are right that the lettuce must be fresh and crisp, the bread brown and there absolutely must be butter, not margarine! I don't actually like Iceberg lettuce much, but I do like the nice crispy green traditional English lettuces. I think I might just have a lettuce sandwich for lunch tomorrow... mmmm. The photo looks really great Mel - fabulous silhouette! I'm an iceberg fan as well. A beautiful image :) I like salad cream in my lettuce sandwiches though!